“Now” is a simple yet elusive concept. You are reading the word “now” right now. But what does that mean? What makes the ephemeral moment “now” so special? Its enigmatic character has bedeviled philosophers, priests, and modern-day physicists from Augustine to Einstein and beyond. 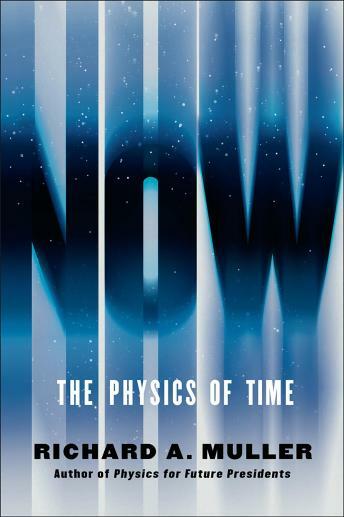 Einstein showed that the flow of time is affected by both velocity and gravity, yet he despaired at his failure to explain the meaning of “now.” Equally puzzling: why does time flow? Some physicists have given up trying to understand, and call the flow of time an illusion, but the eminent experimentalist physicist Richard A. Muller protests. He says physics should explain reality, not deny it. In Now, Muller does more than poke holes in past ideas; he crafts his own revolutionary theory, one that makes testable predictions. He begins by laying out—with the refreshing clarity that made Physics for Future Presidents so successful—a firm and remarkably clear explanation of the physics building blocks of his theory: relativity, entropy, entanglement, antimatter, and the Big Bang. With the stage then set, he reveals a startling way forward. Muller points out that the standard Big Bang theory explains the ongoing expansion of the universe as the continuous creation of new space. He argues that time is also expanding and that the leading edge of the new time is what we experience as “now.” This thought-provoking vision has remarkable implications for some of our biggest questions, not only in physics but also in philosophy—including the ongoing debate about the reality of free will. Moreover, his theory is testable. Muller’s monumental work will spark major debate about the most fundamental assumptions of our universe, and may crack one of physics’s longest-standing enigmas.